in the violence, using tear gas and rubber bullets to clear crowds in a few points of Managua, but not involved in the vast majority of the 50 or more deaths that have been reported since April. The InterAmerican Commission of Human Rights has been invited by the government and currently is investigating the events of April. – Relentless false accusations and lies circulated by corporate media. It must be added that Facebook has been the primary means for transforming Nicaraguan society that one month ago was at peace into a toxic, hate-filled nightmare. Currently, hundreds of thousands of fake Facebook profiles amplify the hatred and pressure Nicaraguan Facebook users to begin to share and post hate messages. Many, if not most, of these fake Facebook profiles have been created in countries other than Nicaragua, and in particular, Miami is the city where many of the Facebook and WhatsApp accounts behind the violence are managed. 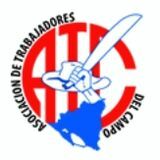 Historically, the ATC has been a participant in the Sandinista struggle. In truth, we have not felt consulted or represented by the current FSLN government. The current coup attempt makes use of these historical contradictions and is trying to co-opt the symbols, slogans, poems and songs of Nicaragua’s Sandinista Revolution, since of course the rightwing has none of its own. However we may feel about Daniel Ortega, the ATC would never contribute to making chaos and sowing violence in order to force the collapse of the democratically elected government in order to install a more docile, Washington-friendly neoliberal government. There are clearly real frustrations in sectors of the population, especially youth, and if these sectors are unable to find popular organizing processes, they will end up being the cannon fodder for a war, which would be the worst possible situation for the Nicaraguan people. In this context, the ATC has called for “all national actors to reorganize themselves based on their aspirations.” With this intention, the ATC proposes to confront the national crisis with a series of dialogues among young people, without party distinction or any ideological basis, in favor of peace and understanding. We propose extraordinary youth assemblies in the cities of San Marcos, Jinotepe, Rivas, Granada, Masaya, Estelí, Matagalpa, Jinotega, Juigalpa, Santo Tomás and Tipitapa, as spaces for young people to discuss the national situation and find points of unity. It is important to mention that we do not have a previously defined “line” to impose upon these debates—they will be spaces for listening, forming ideas and thinking with our hearts. We call upon your solidarity and generous support for the creation of an emergency fund for peace in Nicaragua that makes possible this round of extraordinary youth assemblies. The national coordinators of the Rural Youth Movement, Sixto Zelaya and Marlen Sanchez, will have the responsibility of organizing the assemblies and administering the fund with absolute transparency.